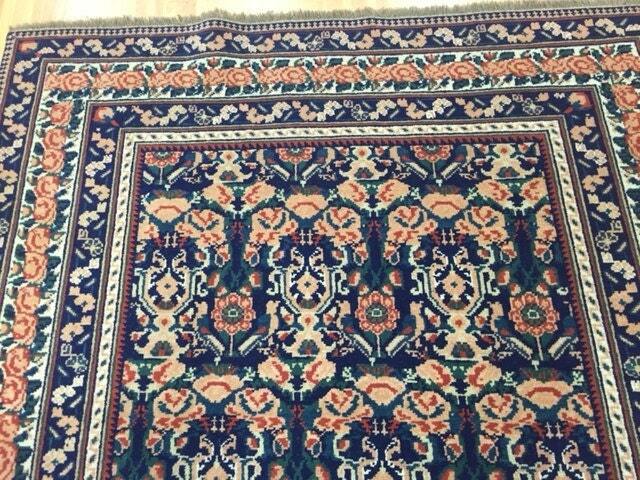 Actual Size: 4' x 6'6"
This amazing rug is a brand new 4’ x 6’6" Romanian Agra. This hand made Romanian Agra is made with 100% Wool. For generations, rug making in Romania has been both an art and a way of life. The work on a rug entails selection and preparation of the wool, gathering natural materials for the dyes and weaving. 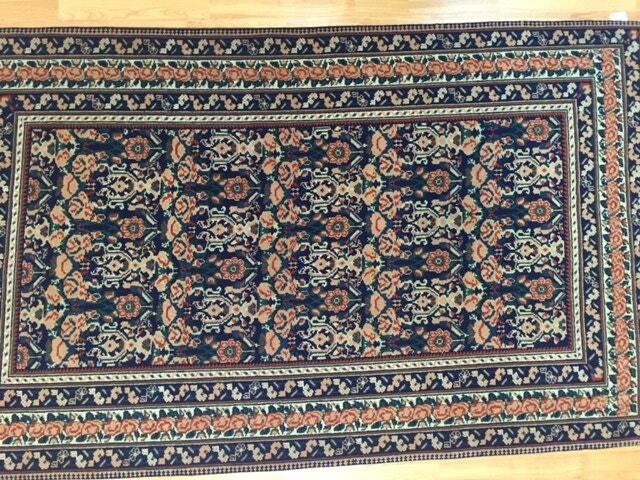 Traditionally rugs were made for family members and passed down from generation to generation. 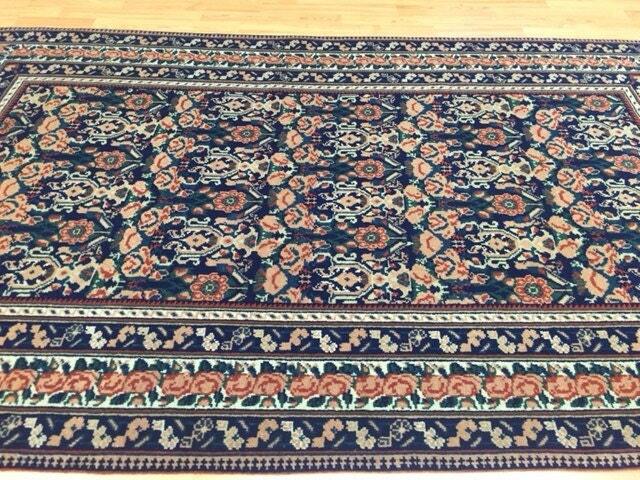 Long ago these rugs were layered on both floors and walls for warmth. Three distinct styles evolved in the three areas of Moldavia, Oltenian and in the central district of Transylvania. Moldavian rugs are geometrically designed often utilizing the tree of life symbol in subdued colors. 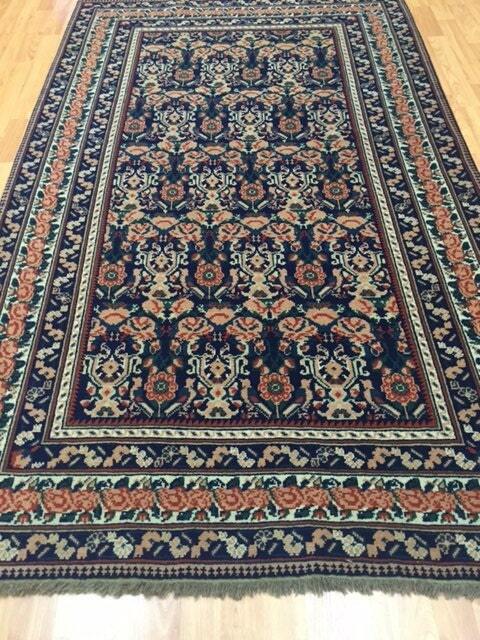 Oltenian carpets often have a black or green background, depicting figures and scenes, reminiscent of Persian miniatures, such as hunting parties. 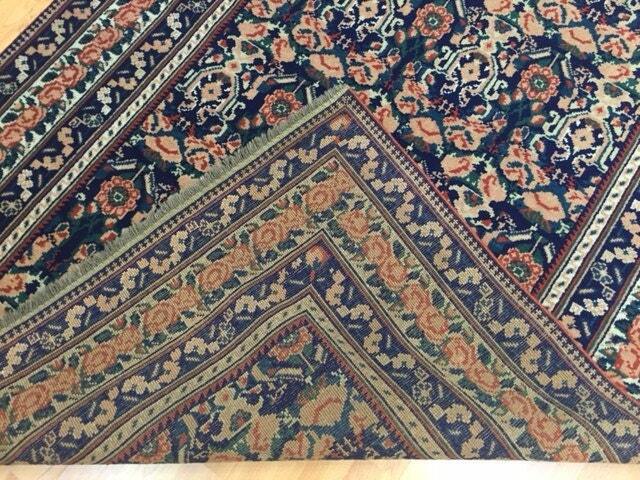 The last style, those of central Transylvania, is primarily influence by Oriental rugs with firm borders and small-stylized flowers, sometimes with birds and animals.